Summer 1968 was a transitional time for Van Morrison. Recently departed from his garage rock band Them and unsatisfied with the release of his debut solo album Blowin’ Your Mind, he was determined to move his music from the peppy pop of “Brown Eyed Girl” to someplace deeper. He was briefly living in the Boston area, where he conceived of the mystical blend of soul, jazz, folk, and Celtic music that would define his masterpiece second album Astral Weeks. Crucial to the development of that sound were a series of live performances in August at a small subterranean club called the Catacombs, backed by a local bassist and flautist. Writer and musician Ryan Walsh, in his book about the album and wider happenings in Boston at the time (also called Astral Weeks), describes a recording of one of those Catacombs gigs, perhaps the only known document of this embryonic stage of an album that is routinely cited as one of the greatest of all time. The recording was never released, nor was it circulated as a bootleg. Much of the Astral Weeks book is spent documenting Walsh’s own heroic efforts to find a copy. Then, on Wednesday, an official download of the recording, simply titled Live in Boston 1968, suddenly appeared online as an official download. It was only available via iTunes UK, and the cover art was essentially blank. By Thursday afternoon, this rarest of rare recordings had disappeared again, wiped from the store. 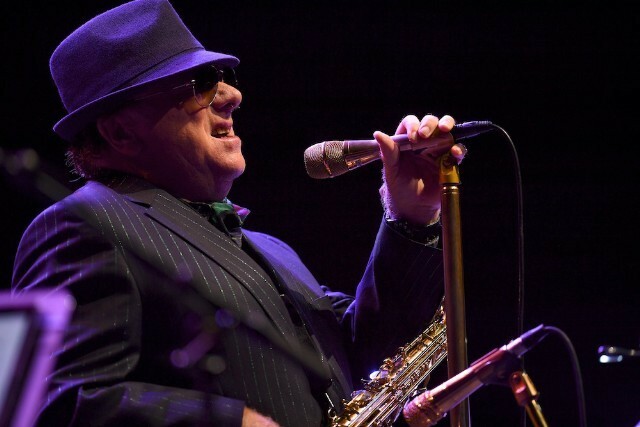 Van Morrison has always been a bit of a strange guy, but this was bizarre even for him. Walsh has a pretty good theory about what’s happening here. He speculated that the release was intended as a “copyright dump.” By officially making the recording available for purchase, according to Walsh, Morrison is asserting and preserving his copyright over it before it defaults to the public domain in January, 50 years after it was made. The optimistic interpretation of this move is that Morrison is gearing up to release the show officially; the pessimistic interpretation is that he’s moving to block anyone who would attempt do so themselves after it became public domain. Either way, it would not be surprising if this were spurred on by Walsh’s book, which was published in March of this year. If you missed out on downloading the show yourself, it seems likely that it will soon pop up via various non-sanctioned channels if it hasn’t already, now that it’s out there. Good luck.